Every scooter needs the right accessories. There are a wide variety of accessories available to provide support for the rider and increase his or her freedom. How riders choose to use scooter accessories varies from person to person, based on individual need. It is through the use of these disability scooter accessories that riders can really make a scooter their own. Scooter accessories such as bags and baskets can provide a place for riders to store items, freeing up their hands to drive. The Scooter Backpack Accessory is a great option for someone who spends a lot of time on the go. 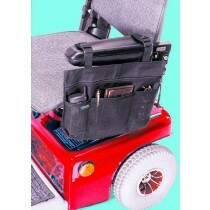 It attaches to the backrest of the scooter and can store items like books and laptops. Another storage option is an arm tote. An arm tote has two straps that hook easily onto the arm of the scooter. 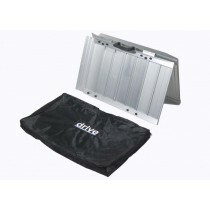 This is a great accessory for someone who will need quick access to items in their bag. 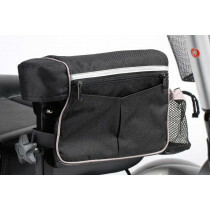 The Arm Tote has a mesh pocket and closes with Velcro®, making it easily and quickly accessible for the rider. 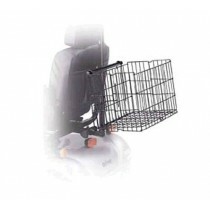 A third option for storing items is to install a basket. Baskets for these scooters come in all shapes and sizes and can be installed easily. They can be placed on the back or the front of the scooter, depending on the type of scooter and basket and provide a large storage space for the rider. The basket is convenient because items can be reached quickly and is accessible to riders who may not have the dexterity to open a zipper. 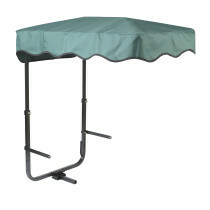 For extra sunny days that will be spent out in the yard, or viewing a sporting event, a sun shade umbrella may be useful. This type of umbrella attaches to the chair and base of the scooter. The rider won't have to worry about shading their eyes from the sun and the covering will protect them from heat exhaustion. The Sun Shade Umbrellas are easy to install and will enable the rider to enjoy the beautiful day while protecting him or her from the sun's rays. Medical equipment holders can be a vital accessory for scooters because they maintain a rider's mobile freedom. For riders who require the support of medical equipment while they are out and about, electric scooter accessories such as oxygen take holders and urine bag covers are crucial. They ensure that a rider can complete daily tasks while taking care of their health. 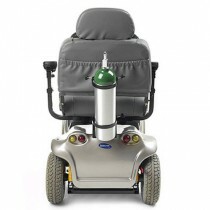 The Oxygen Tank Holder by Invacare holds a D-size cylinder oxygen tank and attaches to the back of the chair. 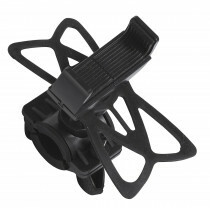 It is easy to install and ensures that the rider will get the oxygen they need while they are on the go. The Urine Drainage Bag Holder Cover provides a discrete way to carry a urine drainage bag when going out. The holder cover is made of solid material that hides the drainage bag from view, allowing the rider to maintain privacy while running errands. Accessories for scooters are an important asset for riders. The right accessories will ensure that riders maintain their independence, are protected and have what they need to get around on their scooter.